On Friday 29th March, the Ministry of Education, Youth Affairs and Sports, the Ministry of Agriculture, Lands, Housing, and the Environment, the Montserrat National Trust, and the Waitt Institute celebrated the end of a year-long collaboration to train four young Montserratians in fisheries research and management through the Youth Apprentice Programme. 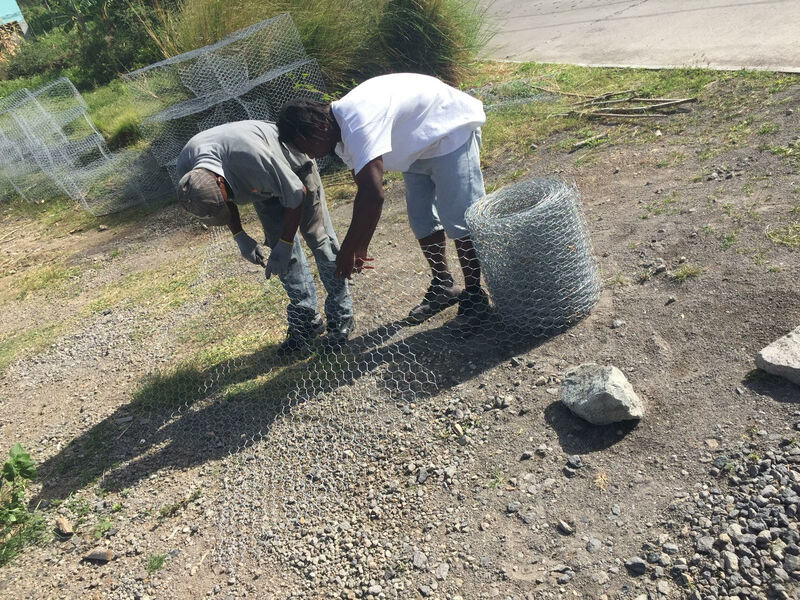 Lester Allen, Shane Caesar, Keinan James, and Dwight Sampson worked on a pilot project to evaluate the benefits of using sustainable fish traps; traps fitted with biodegradable panels that open up to release fish if the trap is lost at sea and include vertical rectangular escape gaps that allow small and thin fish to escape. The team deployed a total of 40 traps from March – November 2018 in pairs with and without escape gaps. A total of 23 days at sea were spent hauling traps, and fish from 21 families and 55 species were weighed, measured and recorded. 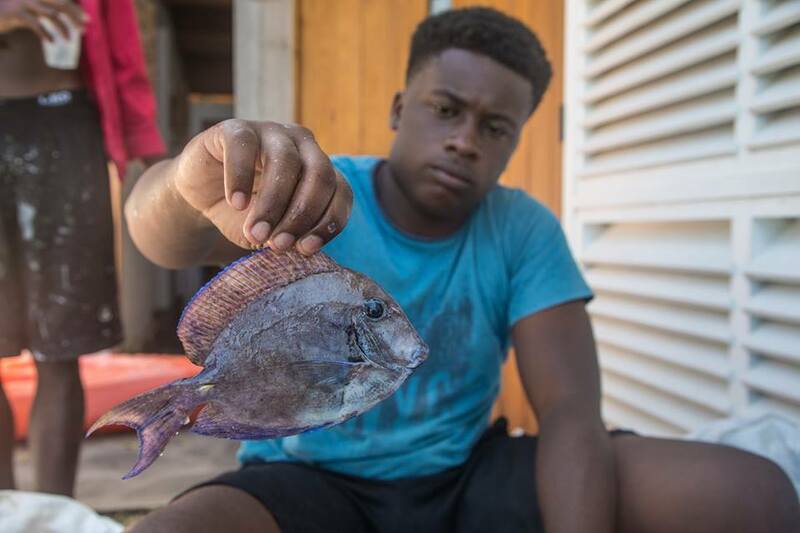 “I learned so much from participating in this apprenticeship, I learned how to identify many, many different species of fish, some fish that I had never seen before” recalls data-collector apprentice Keinan James. The results of the experiment showed that while the escape gaps do not seem to have changed the average number, weight, or length of the fish caught in traps, they have allowed some of the narrow-bodied fish to escape. This might be beneficial as narrow-bodied fish such as butterflyfish and filefish are generally less desirable fish for market. Dr. Sarah Lester, leader at the Sustainable Fisheries Group at UC Santa Barbara explains “the lack of a significant reduction in the catch of juvenile fish in the trap with escape gaps suggests that a wider escape gap may be needed to allow significant proportions of juvenile fish to escape from the traps”. 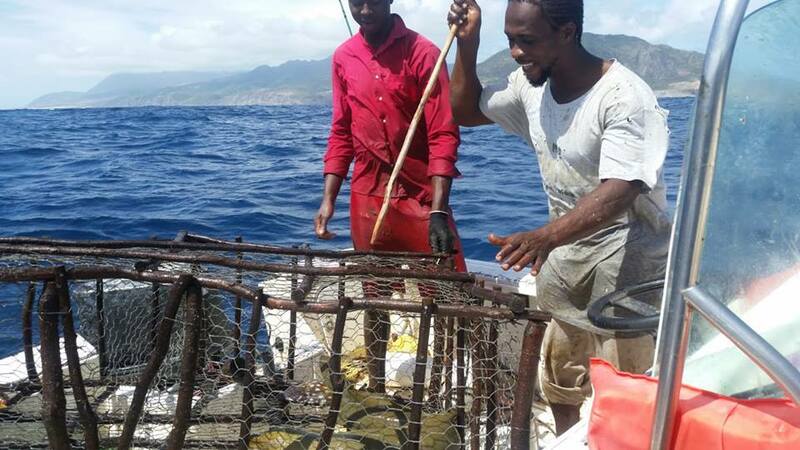 “Even though the experimental trap design may have required alterations and a longer study period, I am so proud that we had the opportunity to expose the apprentices to skills like fish trap building, fisheries data collection and conducting outreach with Montserrat’s fishing community” says Blue Halo Site manager Robin Ramdeen. The Ministry of Education, Youth, Sports Affairs and Community will continue to explore programs to help Montserrat’s young workforce develop the skills they need to succeed. “We are currently brainstorming a further collaboration in 2019 that would provide mini-courses to equip fishers with the know-how to improve their economic viability in the fisheries sector ” Ms. Ramdeen shared at Friday’s meeting. In February 2015, the Government of Montserrat and the Waitt Institute signed a Memorandum of Understanding that launched Blue Halo Montserrat, a joint partnership to develop and implement solutions for sustainable ocean management.